The results of investigating the possibilities of improving tribological properties of materials for bearings using a new combination of technological methods – plastic deformation of the surface layer and its subsequent break-in on a specific technology. The essence of the modification is to manage the creation of a positive stress gradient strength in depth, pre-hardened surface layer, using phenomena return, achieved earnings. There are conditions of the experiments on samples of two bearing alloys used in modern piston engines. Provides detailed evaluation of the results – in the carrying capacity of the modified surface, the length of the running, characteristics wear and temperature conditions coupled with the running process. Emphasizing the possibility of a significant increase in service properties of the study group on the basis of materials submitted by the method of inoculation. Keywords: modification, running-in, bedding, wear, friction, load capacity, load. Friction, wear and lubrication (Tribology and Tribotechnics) / A.V. Chichinadze, E.M. Berliner, E.D. Brown. Ed. A.V. Chichinadze. – Moscow: Mashinostroenie, 2003. – 576 p.
Bushe N.A., Kopytko V.V. Compatibility of the rubbing surfaces. – Moscow: Nauka, 1981. – 127 p.
Kragelskiy I.V., Dobychin M.N., Kombalov V.S. Fundamentals of calculations on friction and wear. – Moscow: Mashinostroenie, 1977. – 526 p.
Johnson W., Mellor P.B. The theory of plasticity for engineers. – Moscow: Mashinostroenie, 1979. – 567 p.
Lahtin Y.M., Leontiev V.P. Materials Science: The textbook for engineering schools. 2nd ed. rev. and add. – Moscow: Mashinostroenie, 1980. – 493 p.
Zelinskiy V.V. 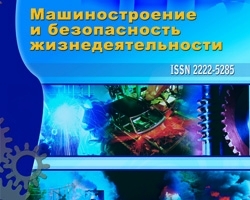 Mechanics of friction of the contact in the area of plastic deformation // Modern Problems of Science and Education, 2012, № 6, URL: http://www/science-education.ru. Zelinskiy V.V. Plastic equilibrium of the surface layer of the friction // Engineering industry and life safety, 2012, № 4. – P. 46-49. Modification of the materials surface layer for plain bearings, №2 (16) 2013, Suchilin D.N., Zelinskiy V.V.